In the aftermath of the tragic terrorist attacks in Paris in November 2015 where 130 people were killed, and the ongoing conflict in Syria and Iraq involving the so called ‘Islamic State’ group, the debate surrounding Islam and reformation has resurfaced once again. For some years now, there has been an ongoing discussion amongst British politicians, academics and think-tanks regarding the reformation of Islam. From a Muslim perspective, the main textual sources of Islam are considered timeless, and this is evident in how numerous Islamic civilisations had the ability to address new realities, without tampering the Qur’an or altering the teachings of Prophet Muhammad (peace be upon him). 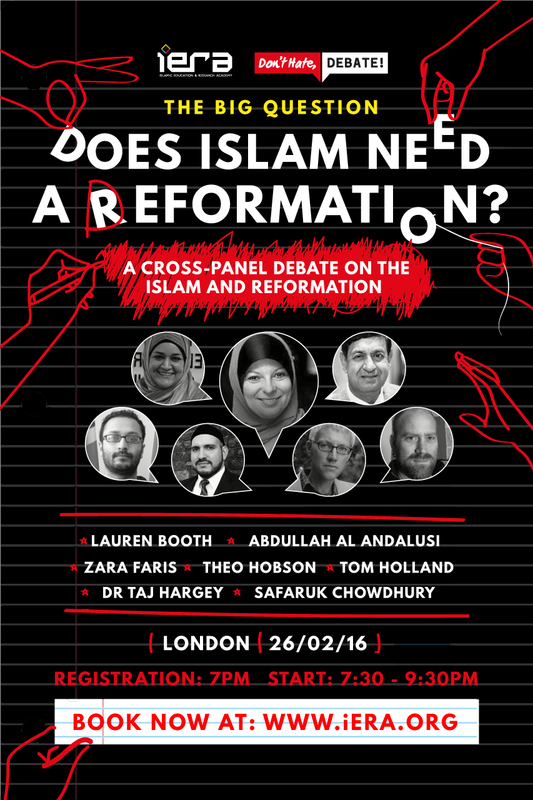 This theme and more will be debated by a panel of experts in London on Friday 26th February 2016, whose opinions on the subject matter have shaped the current debate.